This is the final Confetti polish from this years summer collection, Dolly Mixture. Another bar glitter with the colours blue, peach and yellow these are all in a clear base and I have layered it over Barry M's Guava Gelly. 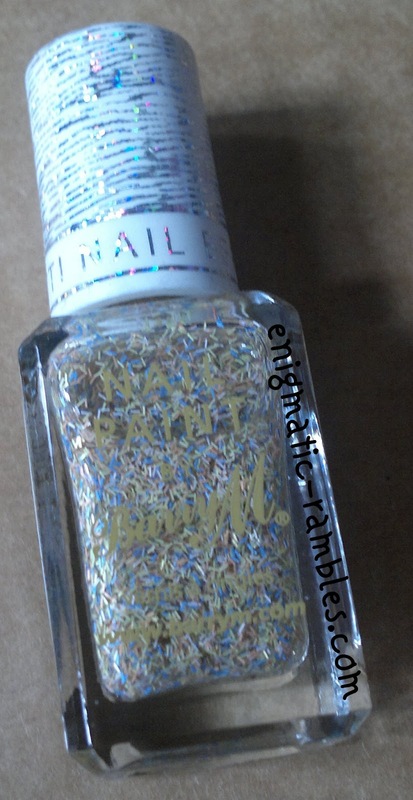 I found the Confetti topcoat to spread well and I got a nice even coverage. The above picture is one coat and as with the other Confetti polishes I would recommend using a topcoat to smooth out the finish. You could build this up to get a full coverage if you wanted to do so. 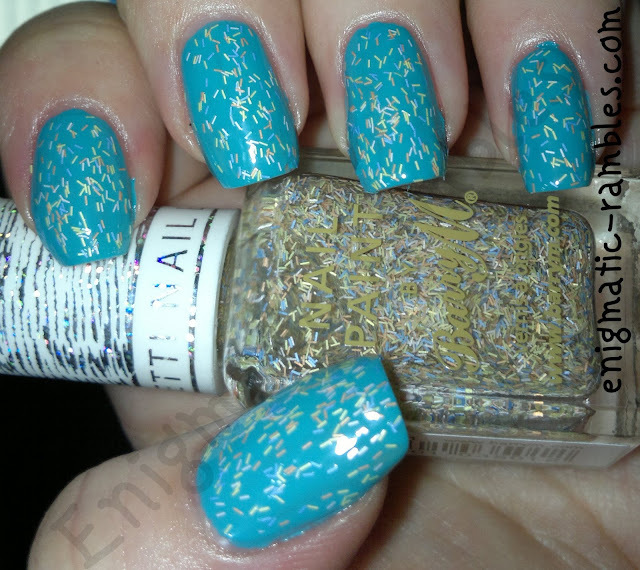 Dolly Mixture is quite similar (possible dupe) to Nails Inc's Chester Feather Effect.